Read our FullTiltPoker.net review or pick up our exclusive Full Tilt Poker Bonus Code. This Dutch player who started playing poker more than 20 years ago has made a mark for himself both in the online and live worlds. From the old world town of Groningen in Netherlands, no one perhaps in his small town could’ve ever imagined this student of mathematics and economics to turn into a poker pro. But it can also be said that his likeness for the numbers did help him in honing his game well. An avid sports lover, Hollink has played many games before he became injury prone. He has played tennis, football and hockey and was in the brink of a professional sports career when he got hurt. He started off by striking the casinos in Netherlands and around 2001 entered the world arena to take it by storm. His first success came in the 10K Pot Limit Omaha event at the Euro Finals of Poker in Paris. After this he entered the big league and was on his way to enter the WSOP in Vegas. Rob finished 18th in the $5K Omaha Hi-Lo Split 8 or Better event. After making a mark in Las Vegas, he came back to Europe and rounded off the year with some more exciting performances. Omaha had seen a new star emerge in Hollink as he had straight wins at the €500 Pot limit Omaha at the Austrian Masters in 2002 and followed this up the next year with the €3,000 Omaha Pot Limit Euro Finals of Poker 2003 at Paris. He also made the final table at the 2003 WSOP in the Pot Limit Omaha tournament. But that can’t take anything away from his Hold’em wins as well. He has finished in the money in the World Poker Tour events twice being 12th in the Grand Prix De Paris 2004 and 5th in the Season 3 WPT Championship. One of his greatest no limit Hold’em wins was defeating the 211 player field in the € 10,000 European Poker Tour in Monte Carlo where he took home the main prize. Finally he got the coveted WSOP bracelet in 2008 in the $10,000 World Championship Limit Hold’em in Vegas winning $496,931. This was the first time a Dutch poker player had won the bracelet. Before that he had managed a respectable money finish at the EPT as well. This gym lover works out regularly and also works out mentally with numbers at the poker table. He is divorced with three kids; Hollink loves to spend his free time with his kids and now plays online for Full Tilt poker. This 46 year old player has been a professional for around 7 years but has been leaving a mark on the world poker arena like no other player. No major tournaments in Europe and USA are complete without Rob’s presence and he has had more than 20 WSOP money finishes. He has always called WSOP his dream. He has taken first place in more than 10 tournaments. A tourney lover, till date he has played in around 85 tournaments across the globe. Though his main game still remains Pot limit Omaha, Limit Hold’em is his second favourite game. 2008 has been his star year and he just saw his game flying since he won the bracelet. It seems this cool player at the tables will just keep making more and more money, both in the online poker world and in the tournaments for the years to come. 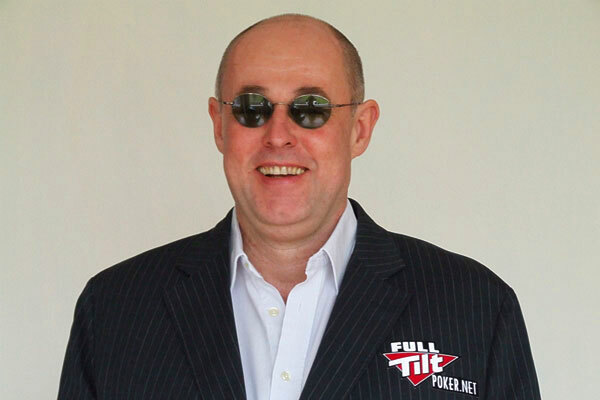 Learn more about Rob Hollink at Full Tilt Poker.